It’s relaxed and comfortable, with plenty of room for everyone. 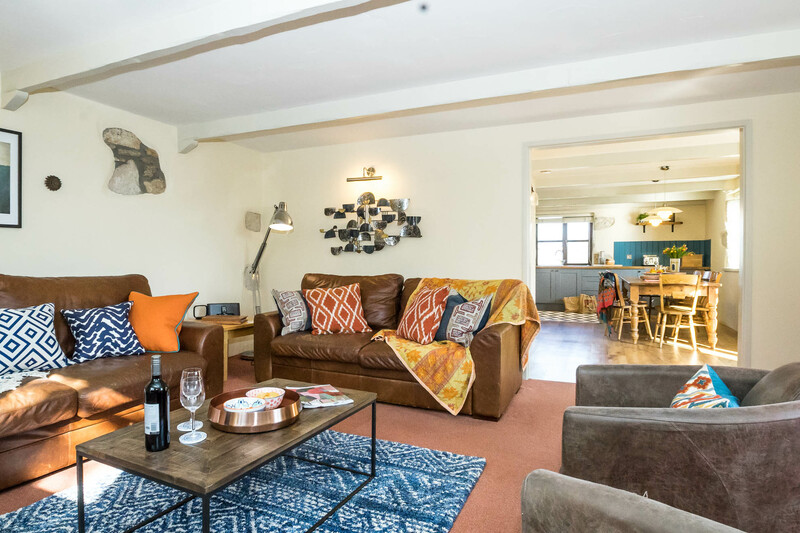 Walking into Jack’s Barn is a bit like coming home, or so our guests tell us, relaxed and comfortable with plenty of room for everyone. 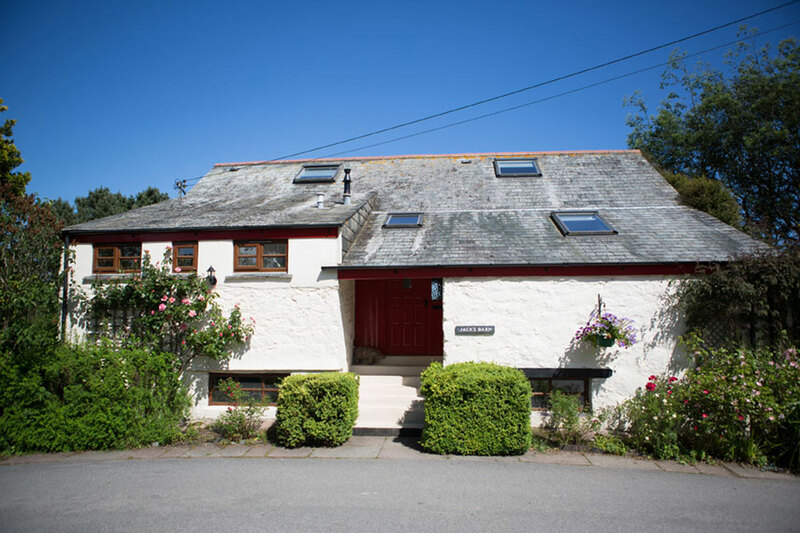 This cottage started life as the shippon over the milking parlour where hay was stored and still retains much of its original character. 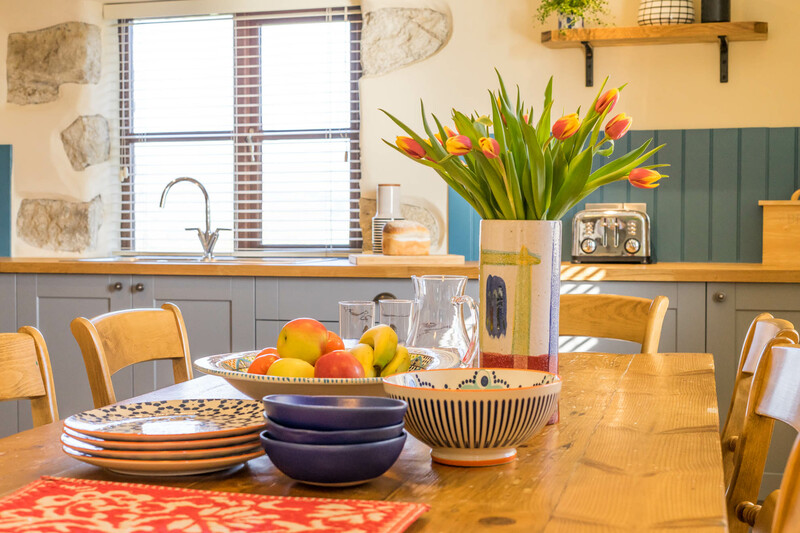 The L shaped kitchen/diner has a luxurious painted wood kitchen with granite work tops and large retro larder fridge as well as a separate chest freezer. 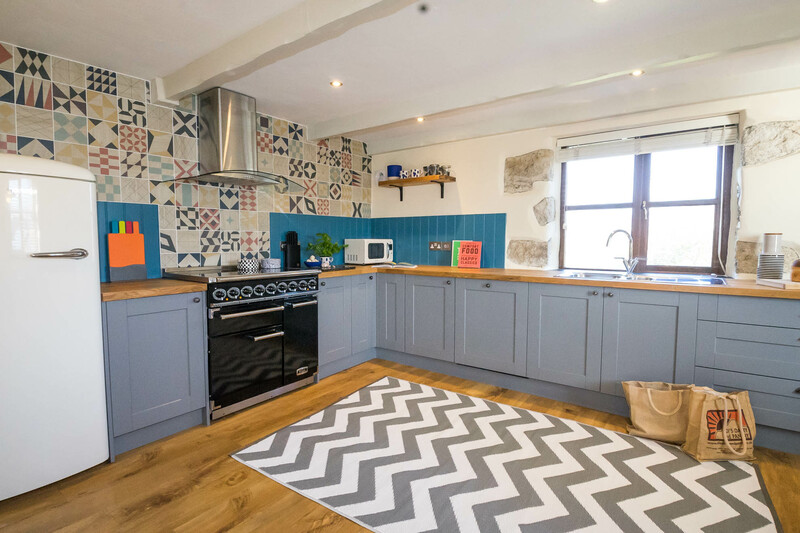 It is well equipped with everything you might need to whip up a feast for the family. 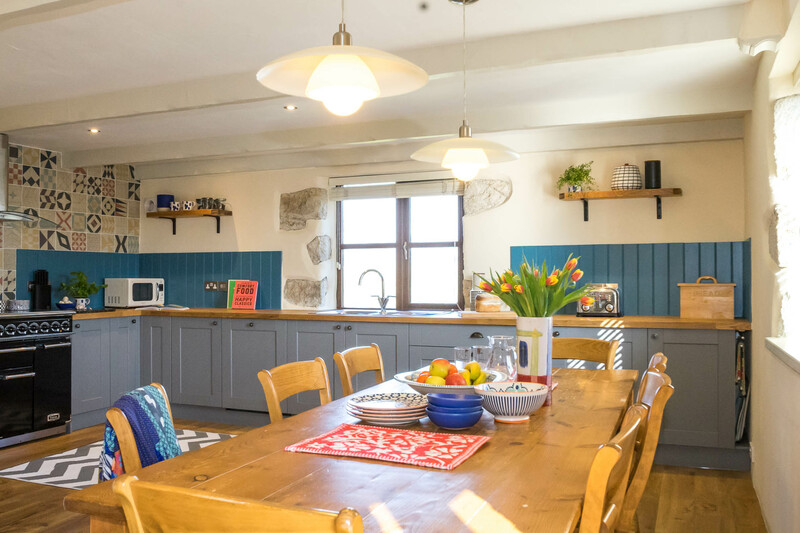 Next, just gather the whole group together around the large farmhouse table for meals – games – or just to enjoy the views! 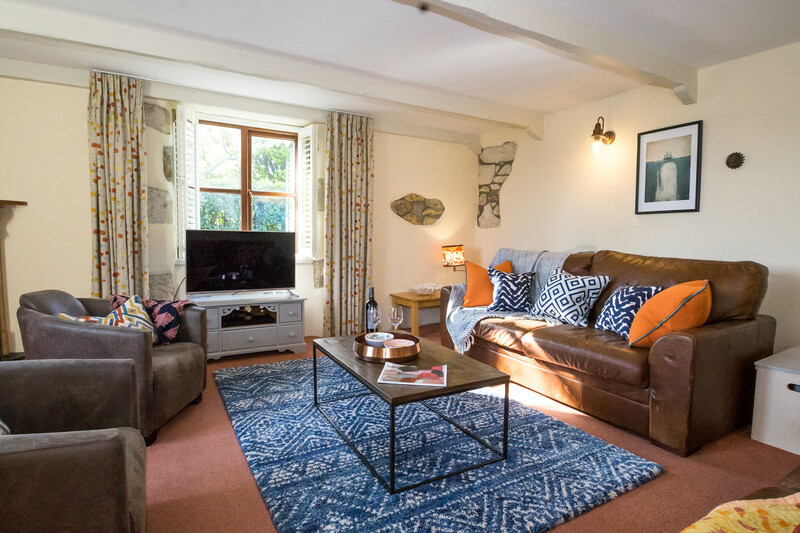 Sink in to sumptuous sofas in the wonderfully inviting spacious adjoining living room where you can really relax and catch up with friends and family. French windows open out onto a balcony with table and chairs – perfect for dining al fresco or just soaking up the sun. 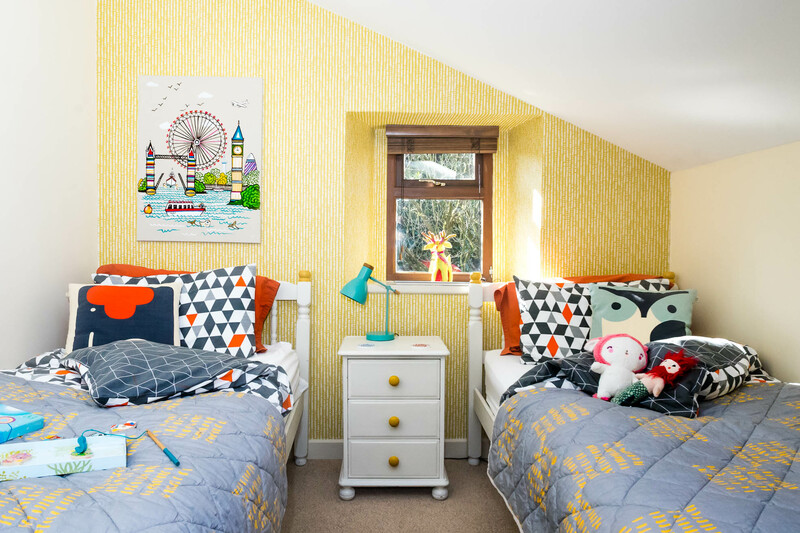 A spiral staircase leads down to the small enclosed garden, safe for toddlers and pets to play (also accessible via a gate on the level) – with another set of dining furniture to use whilst cooking up a storm on the barbecue on warm summer evenings. 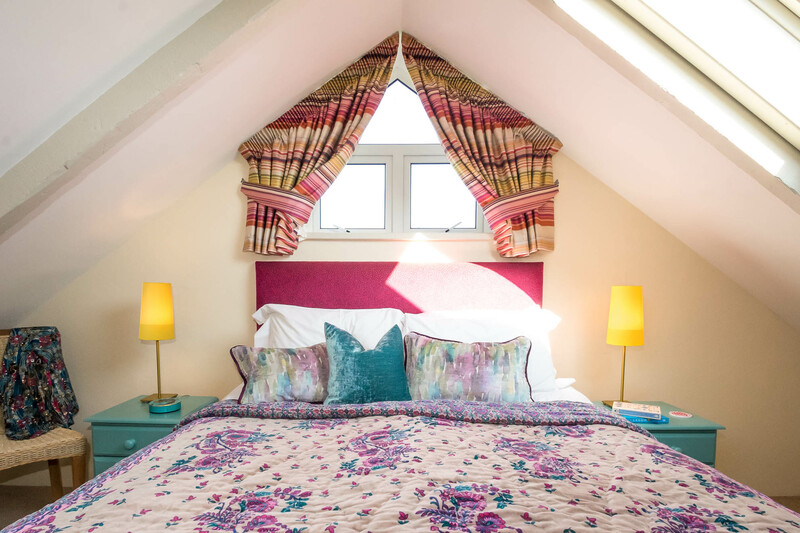 Ideal for one or two families, there are two bedrooms on the ground floor – a double with en-suite shower room and a twin with two 3ft wide single beds. 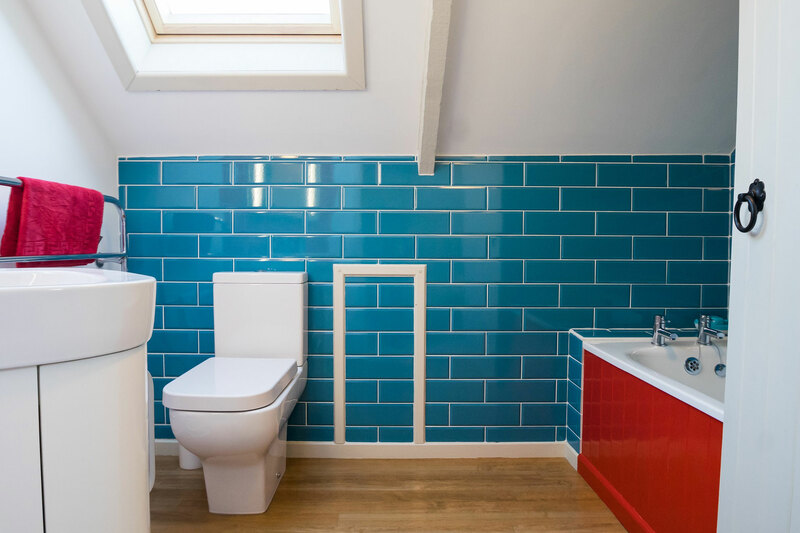 Upstairs there is another double bedroom with king size bed, a twin bedroom, again with two 3ft single beds and a separate bathroom with vanity unit, shower over bath, wc and zingy teal and red metro tiles. 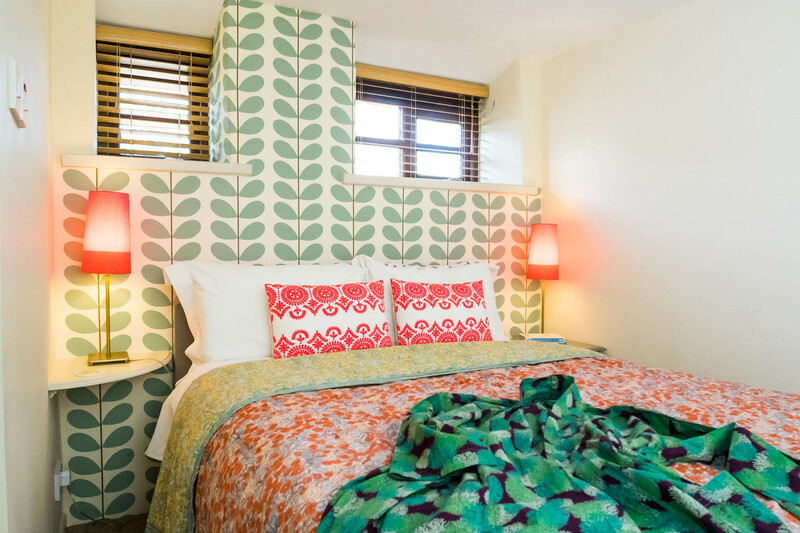 Best for: A group holiday to celebrate a special occasion, two families holidaying together, or a three generation holiday. 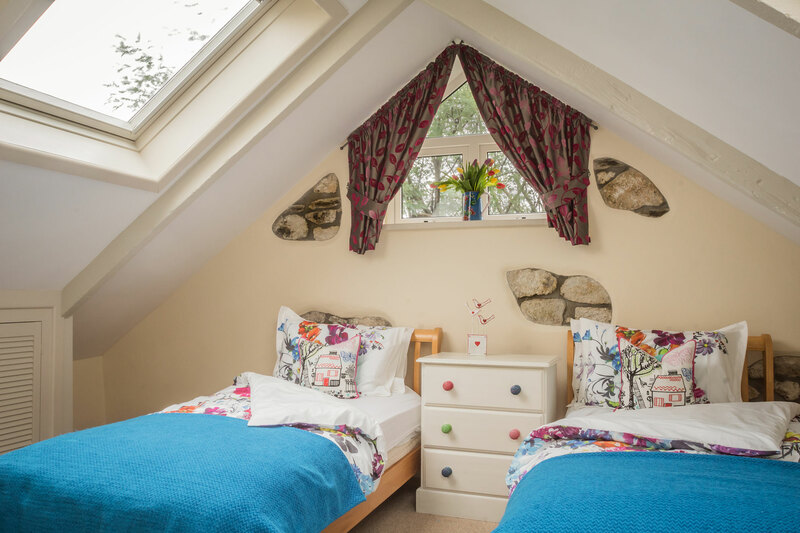 NB Jacks Barn can also suit a smaller family – if only 4 people will be staying and not using all the bedrooms then a low occupancy discount of 30% can apply. 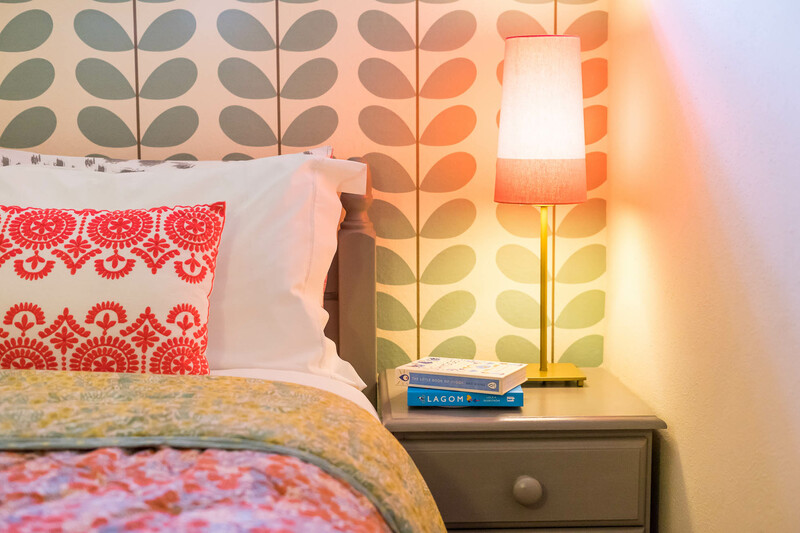 This is intended as a late availability offer at our discretion – please call us to discuss on 01726 72128. Jack’s Barn is on two floors, and there is a short flight of stairs up to the front door, so isn’t suitable for people who find stairs difficult. 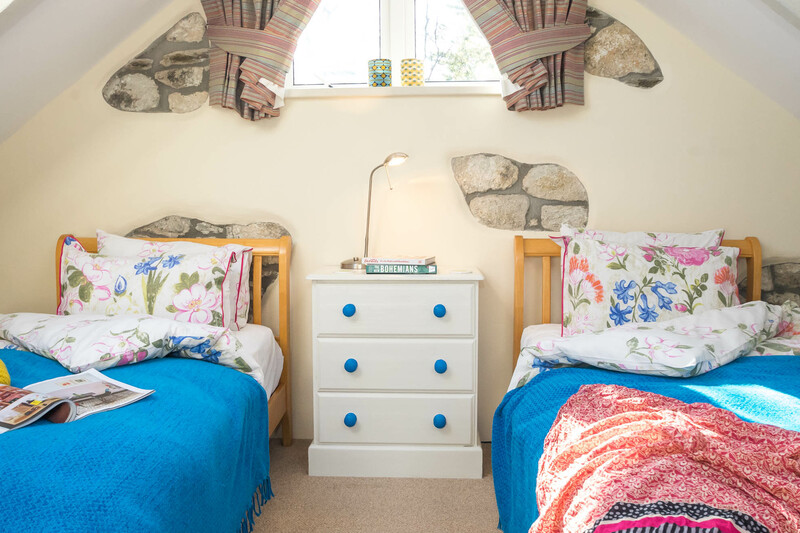 The cottage has a full size static wooden cot (46 x 21 inches, 117 x 54cm) which can be used in the downstairs twin but not the other bedrooms. On request a travel cot may be booked instead and used in either of the upstairs bedrooms. Parking for two cars on tarmac opposite the cottage.